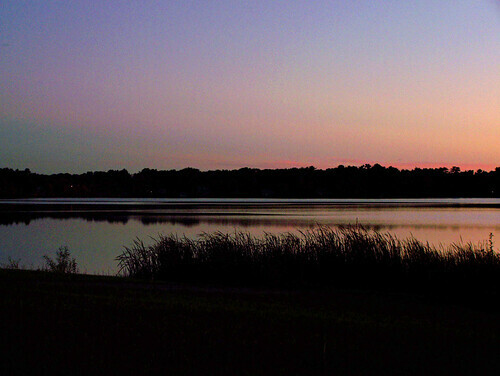 Lake Monponsett Sunset (252/365) – Annoyingly Boring? It’s actually a system of two ponds, East and West, but Pat never let accuracy stand in the way of a good story. What a beautiful shot PG!! Lovely! Did you do any Photoshop editing to this one? I didn’t do anything more than lightening it a bit. I took two shots from the same POV. I chose the darker shot and then lightened it a bit. Nothing more. I thought perhaps that might have been the only edit. It’s so cool to discover what lies beneath the darkness in those night photos sometimes.